When your baby was born the very first second; there was a breath. Life! Then there was the cry; the sound of life. These two aspects of our lives, breath and sound, are the foundation in teaching a child the practice of yoga. Finding their breath and trusting the sound and words of their voice can be a fun exercise in finding out who they really are. Yoga provides a fun path in mirroring to children how special they are while building self-esteem and true confidence. Chanting your Child’s Name: Inhale one big breath, and long exhale extending the sounds in the name using a full breath. For example, if your child’s name is Tony; inhale and exhale TOOE-NEEEEEEE. Fun and Laughter! This is a way to deeply connect with your child as you look each other in the eye with love (Aruna Kathy Humphries, Young Yoga Masters). Bunny Breath: Take three quick sniffs in the nose and one long exhale out of the nose. Everyone can pretend they are bunnies, sniffing for carrots, other bunnies, grassy green fields, etc. Use your imagination as a family! This exercise clears a child’s mind, boosts energy. Bunny breath helps when they are upset and can’t find their breath. It helps children to connect to the exhale so that they can simply breathe. Breathing is Life. Breathing is Yoga. 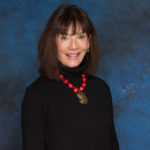 Charlotte a former professor at the LSU School of Dentistry, completed Soul School, a 200 hour registered yoga teacher training under the direction of Sean Johnson. In addition she has completed a speciality certification as a registered children’s yoga teacher, with Yoga Alliance under the direction of Aruna Humphries of Young Yoga Masters in Ontario, Canada. Charlotte feels yoga can help prevent those wounds that are found in childhood and feels her greatest gift as a teacher is helping children discover their “self-knowing within”, trusting and speaking it. "The miracle is watching them light up with delight when believing in who they are. Namaste!"